Horse Lovers! 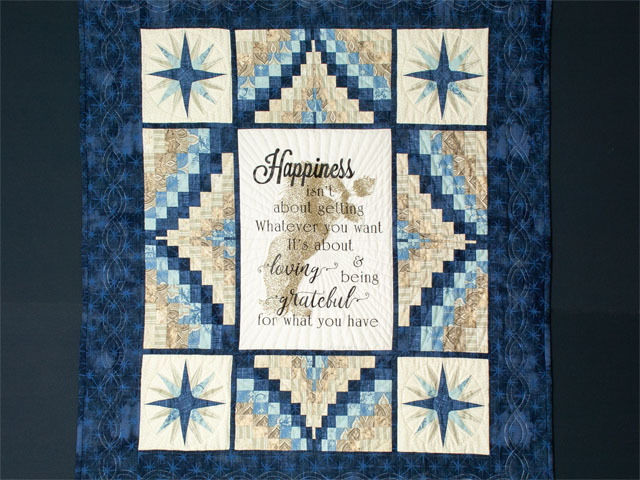 Sylvia's Happiness verse is an all new twist on traditional quilts. 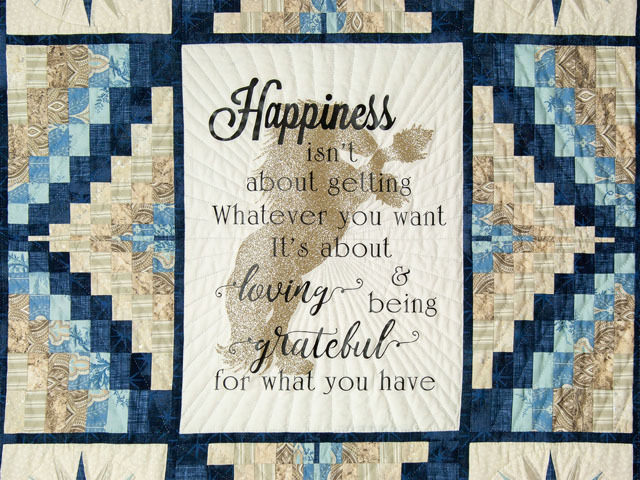 It reads: "Happiness isn't about getting whatever you want, its about loving and being grateful for what you have." 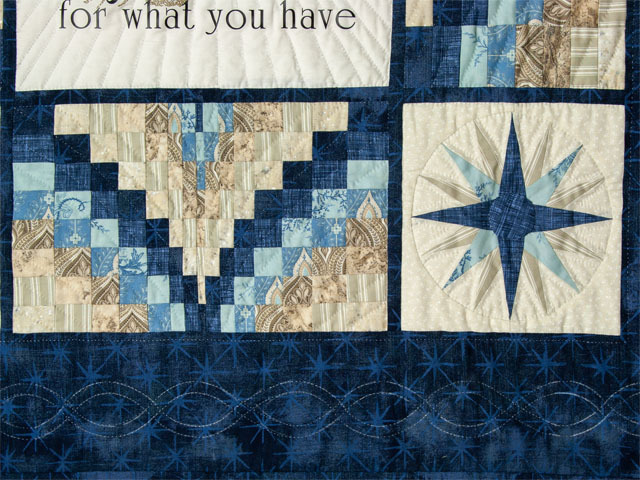 This quilt combines the classic Bargello, a sixteen point star, inspirational quote and the artist's most beloved animal the majestic horse. 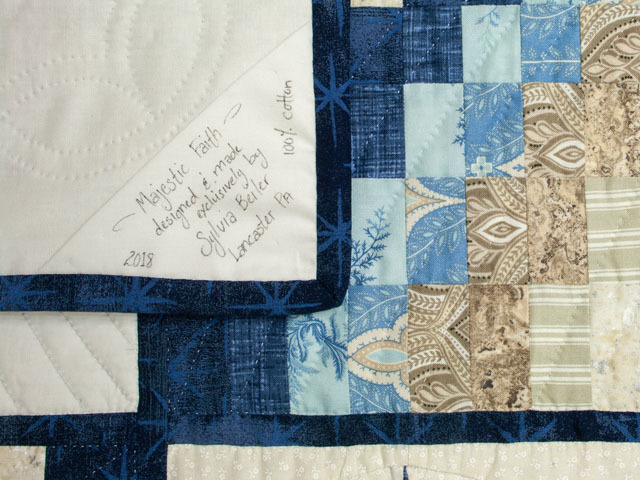 The fabrics are 100% cotton. 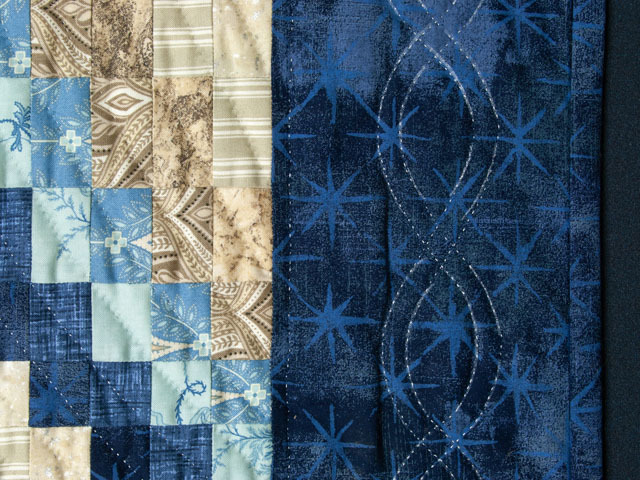 The center is created with a soft wearable heat transfer. 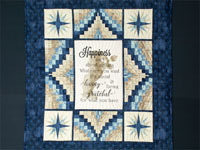 The horse is Sylvia's own hand drawn image she then applied on the quilt in a shimmering glitter. Parts of the quote also has her handwriting. It is washable in cold water on gentle cycles. Line dry only. 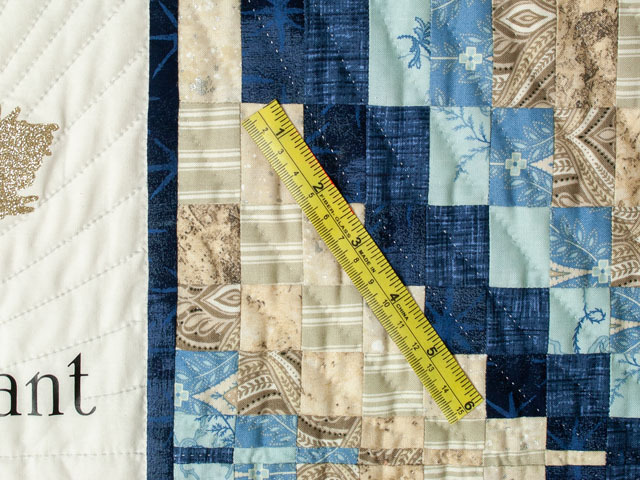 The quilt is hand stitched with 8 small stitches per inch. This is truly a unique piece of artwork all done exclusively by Sylvia Beiler in her Lancaster Pa home while being a stay at home mom to her 4 children. 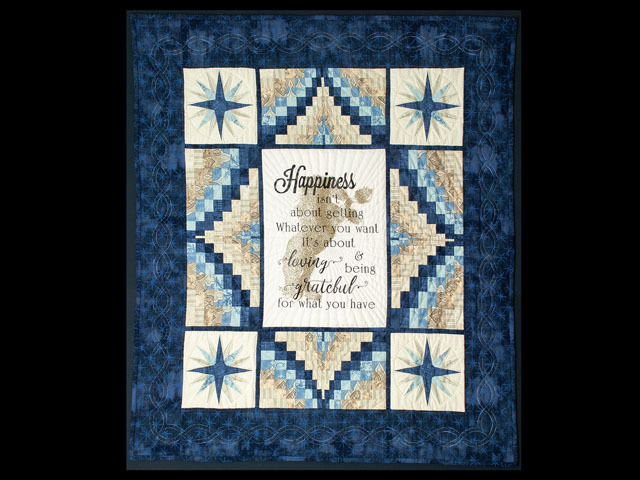 It is her hope that this quilt will bring joy and inspiration to your home.